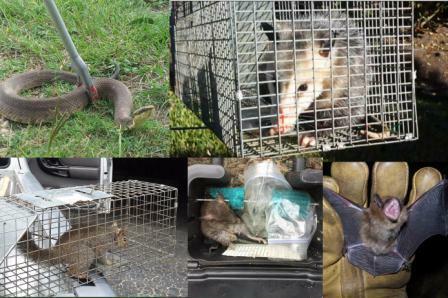 The foundation of our residential service is our proven 4-step General Pest Control Program. This is a preventative, maintenance program designed to protect your home and yard from fire ants, large tree roaches (American Roaches), earwigs, silverfish, crickets, and other occasional invaders. The products used are repellents with residual properties, baits, and traps. We recommend, but do not require, regular quarterly service. Treatment every three months is recommended due to the effective life of the products used to treat. Our technicians are trained in the Integrated Pest Management (IPM) approach to pest control. Integrated Pest Management (IPM) is an effective and environmentally sensitive approach to pest management that relies on a combination of common-sense practices. IPM programs use current, comprehensive information on the life cycles of pests and their interaction with the environment. This information, in combination with available pest control methods, is used to manage pest damage by the most economical means, and with the least possible hazard to people, property, and the environment. We treat your yard, up to 5,000 square feet, with a granular insecticide. This helps reduce the numbers of fire ants, earwigs and other crawling insects in the yard. We treat the exterior perimeter of your home with a repellent, residual insecticide. We concentrate on typical entry points for pests, such as weep holes, plumbing penetrations, eaves, and the trim around doors and windows. On the interior of your home we will inspect the rooms for activity and treat as appropriate. Water sources, such as under sinks, are a common access point for pests in your home. We will treat your attic with a granular bait. This will help reduce the number of the larger tree roaches in your home. These roaches normally live outside, but will sometimes come inside in search of water and food. 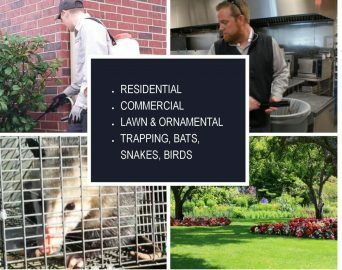 Our General Pest Control Service is the most common residential service for our customers, but it is by no means where our expertise ends. If you are experiencing problems with any other unwanted pests around your home we've got you covered. If you are experiencing problems with ants inside the home or trailing around the exterior, german roaches, rodents, termites, fleas and ticks, wasps, or mosquitoes, (to name a few) we will need to discuss specific corrective treatments in order to give you the best results possible. It is important to remember that there is NO one-size-fits-all treatment.